Brilliantly evoking the biting wildness of early 20th century Saskatchewan, Patrick Gale builds an affecting story of hard-forged, late-found identity and illicit desire. Forced to abandon his wife and child, Harry signs up for emigration to the newly colonised Canadian prairies. Remote and unforgiving, his allotted homestead in a place called Winter is a world away from the golden suburbs of turn-of-the-century Edwardian England. Yet, despite its punishing demands, it is here that Harry will find a will to truly live. Isolated in a seemingly harsh landscape, under the threat of war, madness and an evil man of undeniable magnetism, the fight for survival will reveal in Harry an inner strength and capacity for love beyond anything he has ever known before. 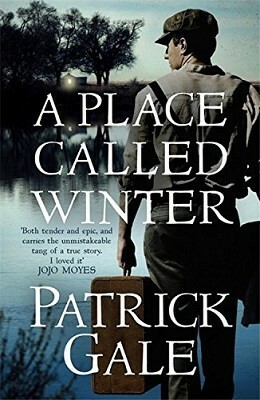 Described by The Observer as ‘a dramatic and affecting portrayal of dislocation, extreme environments and the traumatic effects of enforces secrecy,’ A Place Called Winter is an epic, intimate human drama, both brutal and breath-taking. In this exquisite journey of self-discovery, loosely based on a real life family mystery, Patrick Gale crafts an exploration of secrets, sexuality and, ultimately, of great and transformative love.